One of the social involvement programs of St. Scholastica’s Academy is the community immersion/exposure Program for new teachers of both the grade school and the High School. On May 31- June 1, 2013, 17 new GS teachers including the new SIP moderator, Ms. Geliza Aquino scheduled their immersion at Sitio Target, Sapangbato, Angeles City, Pampanga while 16 new HS teachers and HS SIP moderator, Mrs. Michelle Solis scheduled the same activity for June 1-2 in the same area. Sr. Consuelo de la Paz, the new institutional SIP coordinator, Sr. Reginalda Cortez GS principal, Sr. Roberta Ilumin OIC of St. Benedict Social Action Center and Ms. Lyvette Macadangdang, SIP staff member brought the first group to the immersion site. Sr. Angela Bingan, Coordinator of Indigenous People Apostolate planned the immersion activity for the teachers. Sr. Angela with a staff member, Mrs. Melissa Sinamban also joined in the immersion activity. The community leaders, Aries and Ate Elvie gave an orientation to the teachers about the area, their culture, beliefs, and traditions. They also shared their experiences with the Benedictine Sisters who supported and helped them before, during and even after the Mt. Pinatubo eruption and their plights for justice and peace. 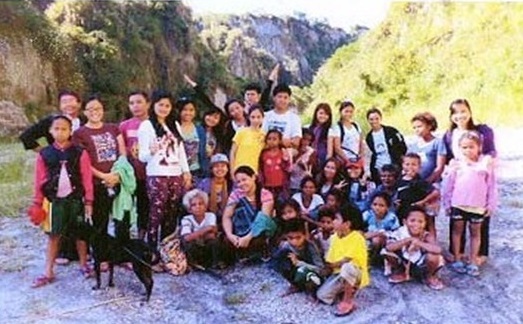 The teachers experienced hiking and learned to appreciate nature and the Indigenous People. 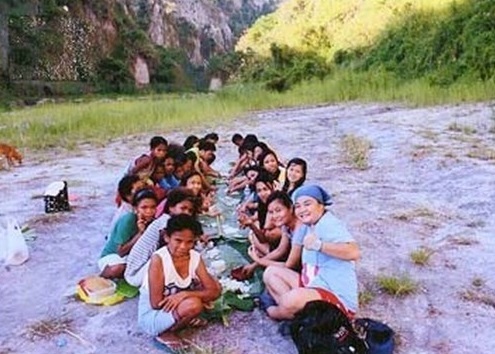 They witnessed the lifestyle of IP or “katutubo.” Some of them experienced climbing the mountains to get food for supper, others looked after their “adopted siblings” and did household chores, etc. The cultural night was the highlight of the activity during which children and elders showcased their talents in singing and dancing. The leaders also presented their song number. They gained new learnings and insights and came up with self-realizations hoping these will be put into actions.